Janice Quick has photographed and researched a variety of Victorian mourning symbols on headstones at Forest Lawn cemetery. Some symbols express the sentiments of the mourners. A few expose superstitions of the era. Many depict the careers, interests and lifestyles of the individuals interred below the stones. 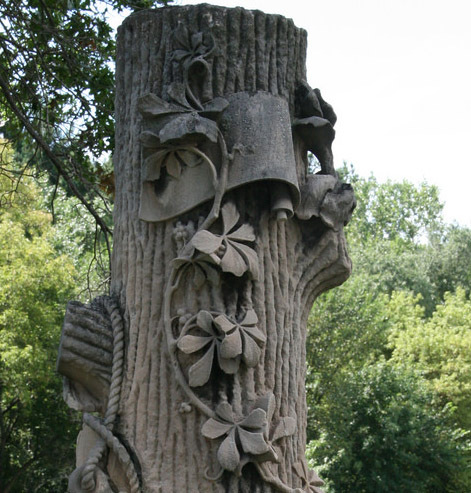 View PowerPoint photos of beautifully hand-carved headstones, many in the shape of trees, with images of ivy, ferns, calla lilies, birds, wheat, corn and other natural subjects, as well as the logos of several local organizations. Hear how those images reflect the lives and times of the persons honored by the elaborate headstones. Janice Quick is a historian, researcher and writer.